Hey Junkies! The Crafty Nurse here with some inky fun using stamps from the June Technique Junkies Release and a home made stencil. Would you believe these "sketchy" flowers were made in less than 5 minutes using hot glue? Yep, hot glue. 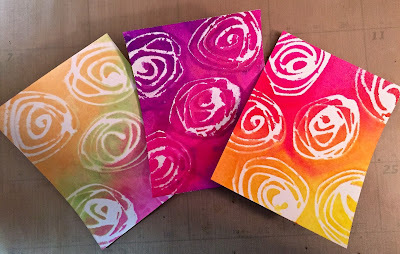 I've seen many stamps and dies in this shape and you can create these in no time at home. What's even better, the hot glue stencils pair perfectly with the techniques on the Sensational Stencils CD. All you need is a non-stick surface and hot glue. Simply start in the middle and create circular motions outward. You DO want some of the lines to touch so the flower stays together. It also looks more like pedals once the ink is applied if they are touching. That's it. 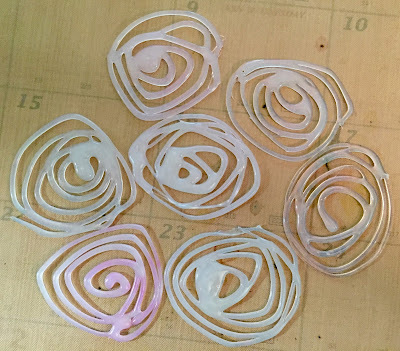 While you have your glue gun out, you can make other types of pedal flowers, circles, geometric or organic designs. How fun is that? I sprayed several panels using Dylusions and Lindy's Stamp Gang Sprays. 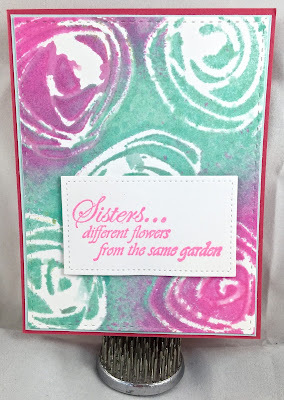 My first card uses Lindy's Stamp Gang Sprays and the Technique Junkies June Release Sentiment, "Different Flowers." I know my sister would love this card. 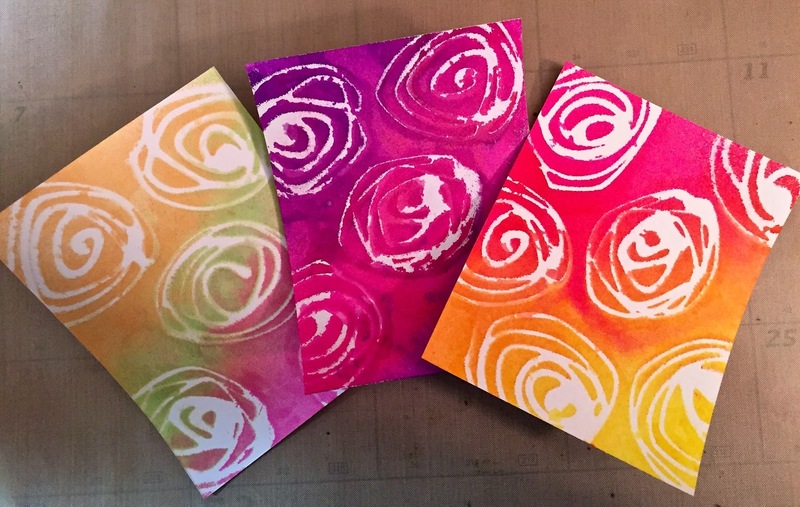 The Technique is called "Stencil Spray Fun and is found on the Sensational Stencils CD." My Second card also uses the "Stencil Fun Technique," but with Dylusions Ink. 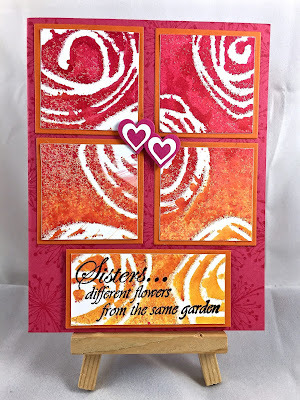 If you look in the background I added another TJ Stamp called "Whimsical Garden" using Versamark ink. The "Different Flowers" sentiment is stamped with Versafine Black Onyx ink and embossed with clear powder. I hope you'll head on over to the Technique Junkies store and check out more of the new June Release stamps. While your there, pick up the Sensational Stencils CD and make your own hot glue stencils!